I’m dusting off the cobwebs to give you an update and a very special invitation! With our recent move across the country, God asked me temporarily to set aside something good (my blog) in exchange for something better (my family). 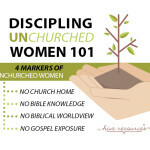 It was hard to step away from the computer, but as soon as I did, I found myself free to do more of the things that inspired me to start blogging in the first place: investing in my family, spending time in God’s Word, and discipling women – particularly those from unchurched backgrounds. My kids have grown buckets in the last year. We’ve spent most of the previous 12 months tucked away in some great books (check Instagram for some of our favorite reads). Our family also found new ways to get plugged into our church family through service and opening our home for a weekly Life Group (our church’s version of Sunday School). I worked through Exodus and had my mind blown by the glory and beauty of our Lord. I am now reading through the Pastoral Epistles and feeling all kinds of conviction … which makes me want to switch to another book of the Bible…quick! But I won’t. There are things my heart has needed to hear through feeling the sting of my conscience. Committed Bible study is truly heart work. I’ve grown so much in my understanding of God’s holiness and his plans for me the past two years, having had to wrestle with some hard things as God has used His Word to clean out my heart. So, while I’ve missed chatting with you in this space, God has used my devotions to renew my soul and my passion for His Word. And like He always does, God used the time I spent with Him in His Word to prepare me for what was ahead. In the fall, I had the honor of leading three discipleship groups, two of which I hosted in my home. Two groups were functioned as “discipleship intensives,” short classes on how to study the Bible. Some of these women had studied the Bible for many years. Others, despite having grown up in church, had never studied the Bible on their own before. And still, others had no church background or Bible knowledge at all. For this last group, it was such a joy to see each of them learn to devour the Word of God for the sweetness that it is! 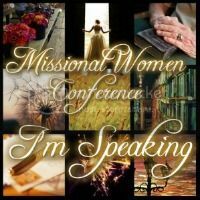 Over the course of the year, I met with a handful of other women one-on-one and witnessed God do miraculous things, and very often, hard things in their hearts and lives. Then, this Spring, I led a five-week class for new believers using the material from my book, Crowned, which is the first place I start when discipling unchurched women – explaining our identity in Christ). As I was fighting the digital cobwebs to get it back online, I couldn’t help but ask this obvious question: What’s next for Hive Resources? For many of you, this site has become a place to share ideas and encouragement for discipleship. 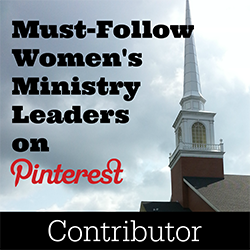 I have enjoyed hearing from readers who have used these ministry ideas and resources in their churches and ministries. Seeing ‘online’ friendships bloom among like-minded women has been one of God’s unexpected gifts of grace in operating this little space. Because of that sweet gift, I want to keep the site up and running, but I hope it will become even more discipleship-oriented. That means you’ll see less of the “how-to” articles so common these days and more of the actual work of Bible study and discipleship. So, this Summer, I’m starting something new! And I’ll be honest…I’m a just a *little* nervous! 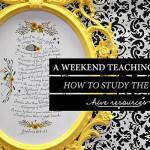 This Summer, I’m offering the first-ever Hive Resources Online Bible study. From June 19 – July 29, we will dive into the book of 1 Timothy together in a private Facebook group. It is free to join, and no purchases are necessary. All you need to do is join the FB group (when I post it the week of June 12) and have access to a Bible. We will cover one chapter of 1 Timothy each week. –On Monday, I’ll post a quick video to get you prepped and encouraged for your reading. –On Tuesday, I will post study tips, explanations of key words, and prompts to get you started digging into the Word on your own, which is the goal of this study. I’ll also share some of my study notes as we go. And you can expect lots of doodles and printables along the way. –On Thursdays, I’ll host a FB Live teaching video on our assigned chapter and answer any questions you have on the spot. 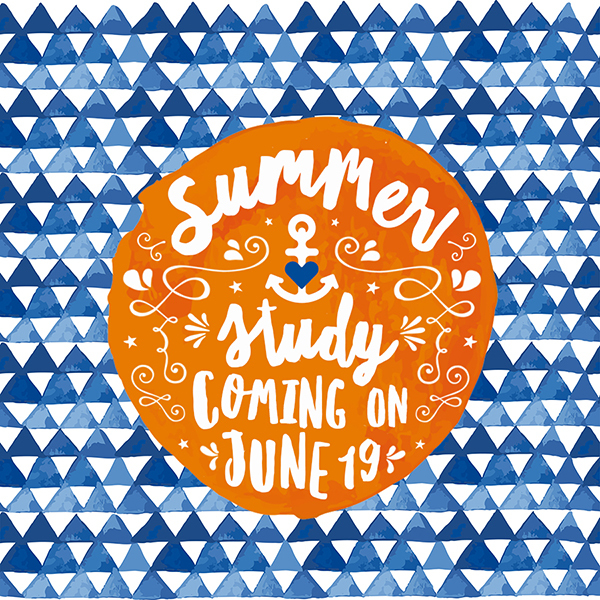 So, whether you are nursing a new baby, packing for vacation, or watching kids play at the park, this online study will be just what you need to get you focused on God’s Word this Summer in the small moments of life – wherever you might find them! To sign up, simply join the FB group. I can’t wait for our study to begin. It is my hope that God will use this study to renew your soul and prepare you for what’s ahead. He is always faithful to do so if we show up to spend time with Him in His Word. Personally, I fully expect God to use this study to tie all three of my heart strings together – family, Bible study, and discipleship – and you are a part of that! Your Bible study sounds like something I need to get me out of my stagnate state. I would definitely like to sign up for it . Can’t wait. Thanks for doing this. I think it will be exactly what I need this summer. 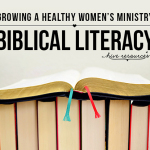 I’m continuously amazed at how many different ways God has used you to reach out to women. This is a great idea. Melissa, My wife is a follower of yours for a while and sent me this page with the suggestion I interact with you as you move more into disciplemaking. We are also building a web based tool that hopefully will emulate the model of Christ making disciples out of the 12 and how he lead them to be apprentices of His. David, thank you so much for stopping by. I have used both sites, but look forward to exploring Lumina even more – particularly the language tools. I have enjoyed my online friendship with your lovely wife. She is such a gem.